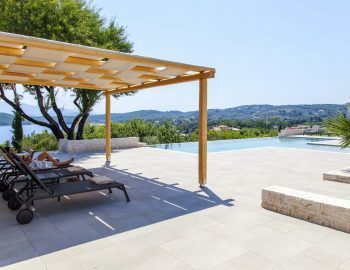 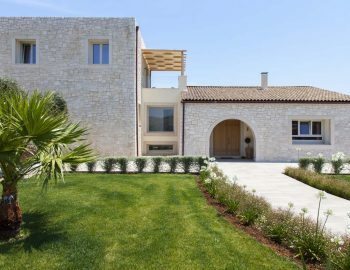 This brand new stone villa is located in Kassiopi, one of Corfu’s most popular and sought after villages. 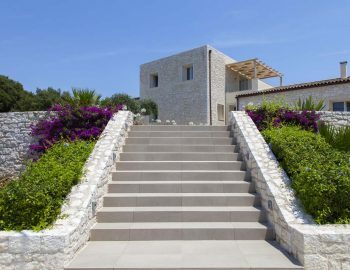 Its prominent position, on top of a hill, offers breathtaking unobstructed 280o views of nearby beaches, the channel of the Albanian coast and its mountains as well as a view of the village of Kassiopi. 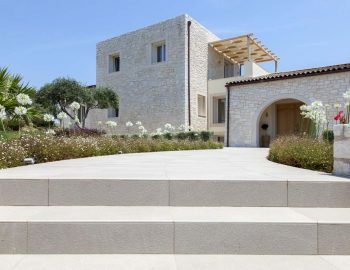 Built to the highest specifications, the construction was completed in July 2016. 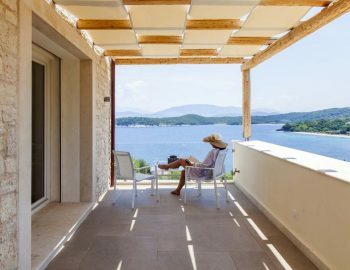 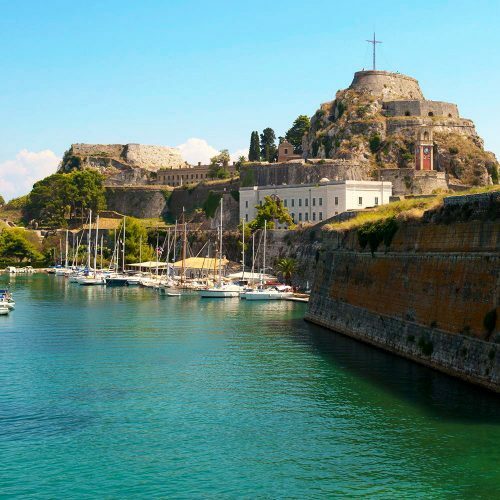 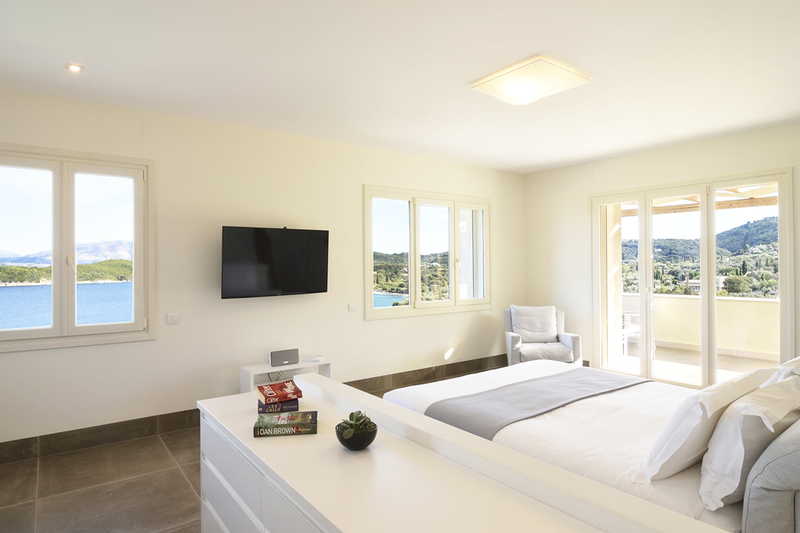 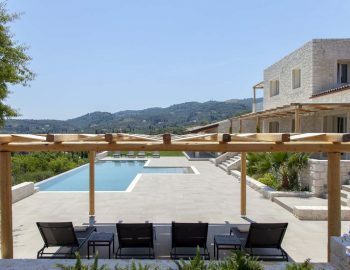 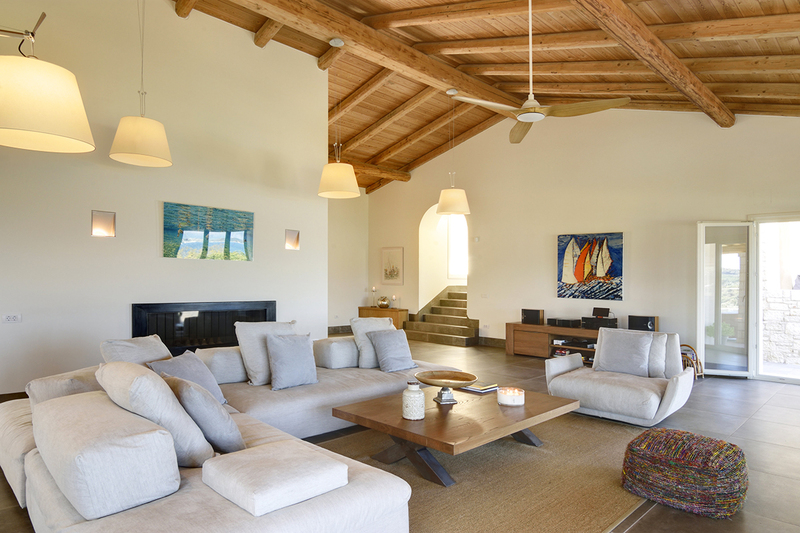 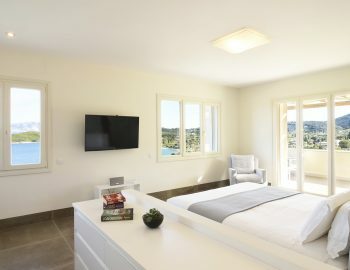 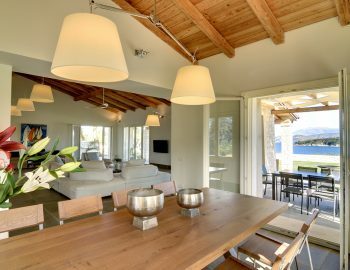 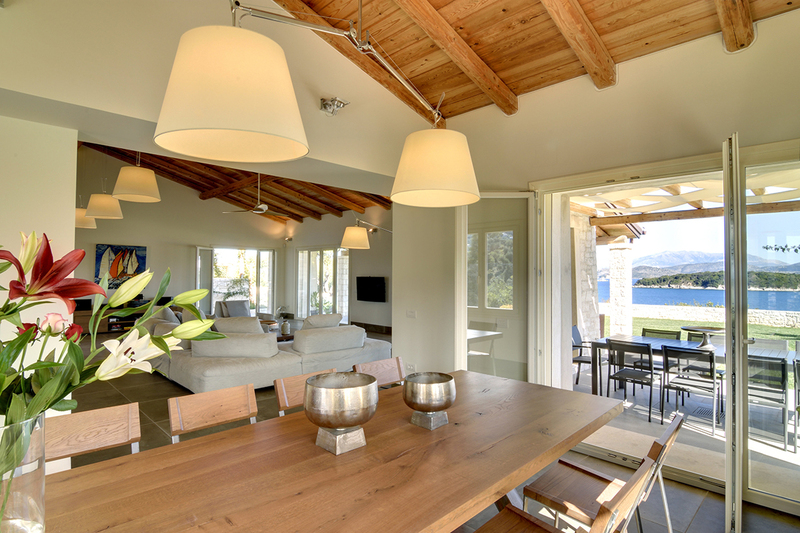 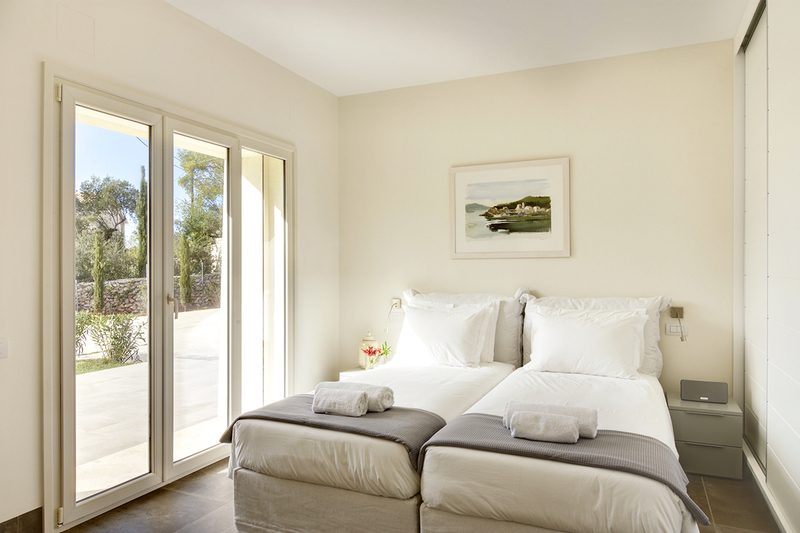 It is the first house in Corfu to implement the use of the Control 4 system, a smart-house system that allows the guests to easily control the temperature, lighting, alarm system and shutters through tablets that are provided throughout the house. 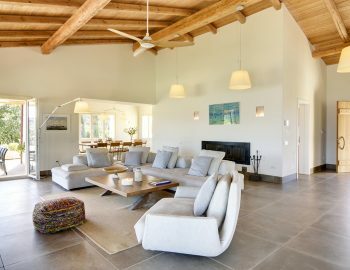 The house also features the Sonos music system. 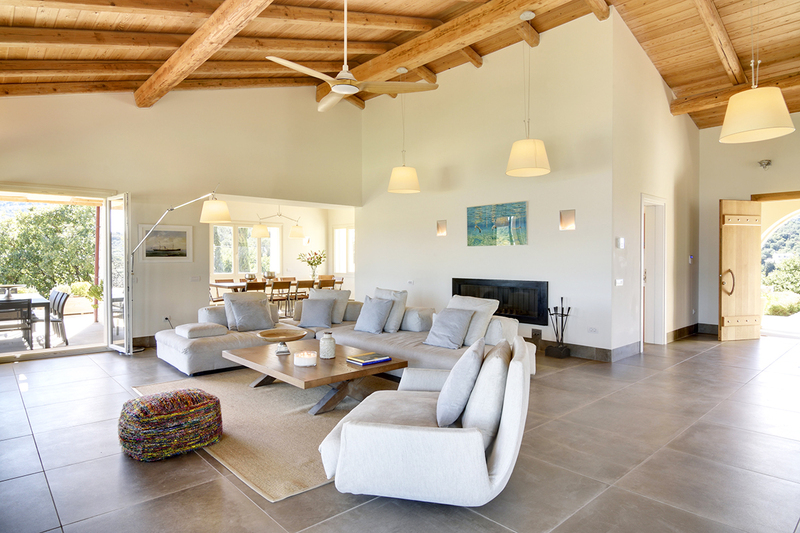 Stepping into a large living room you will instantly be filled with a sense of serenity. 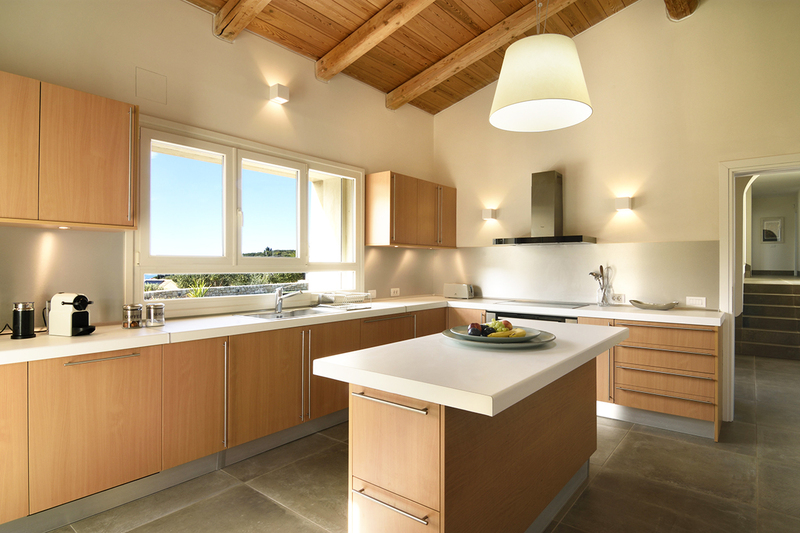 The large windows offer an amazing view while at the same time bathe the entire house in natural light. 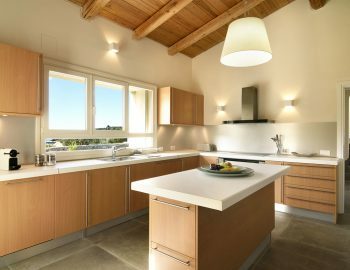 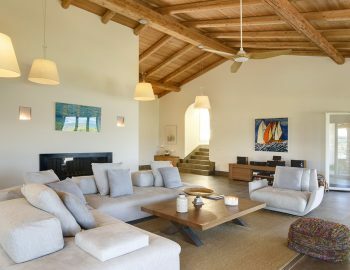 The south part of the house is completed with a dining area and a fully equipped kitchen. 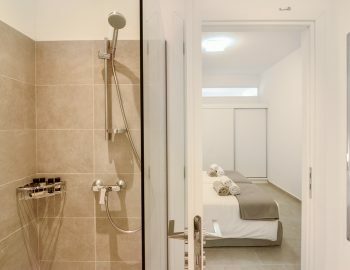 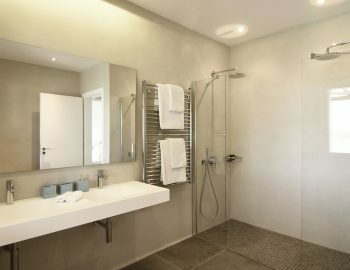 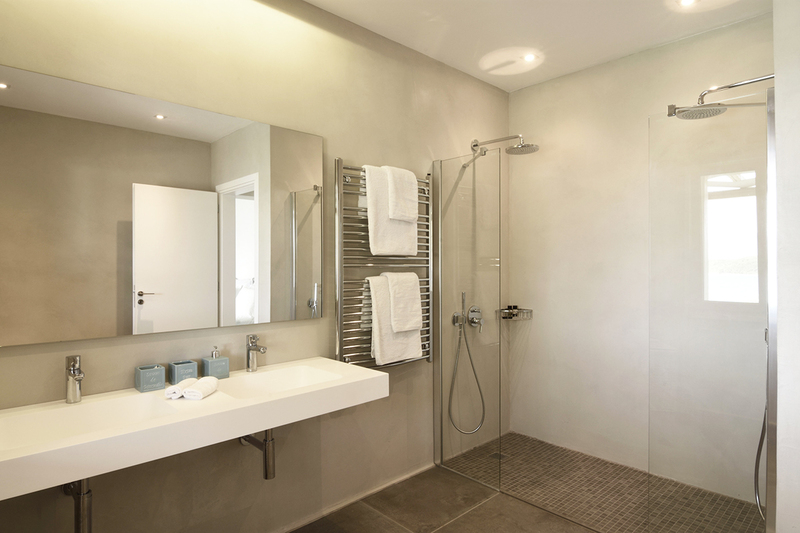 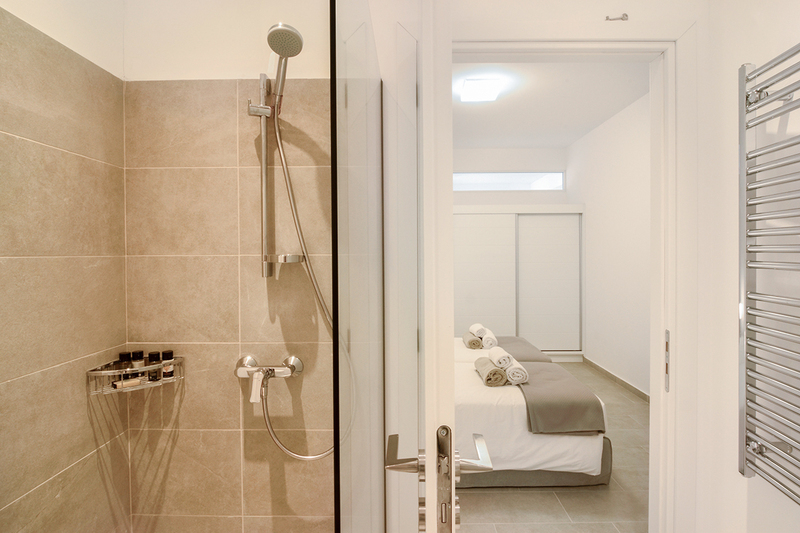 The north part of the house consists of the guest bathroom and three en-suite bedrooms, two of which are complemented by double showers. 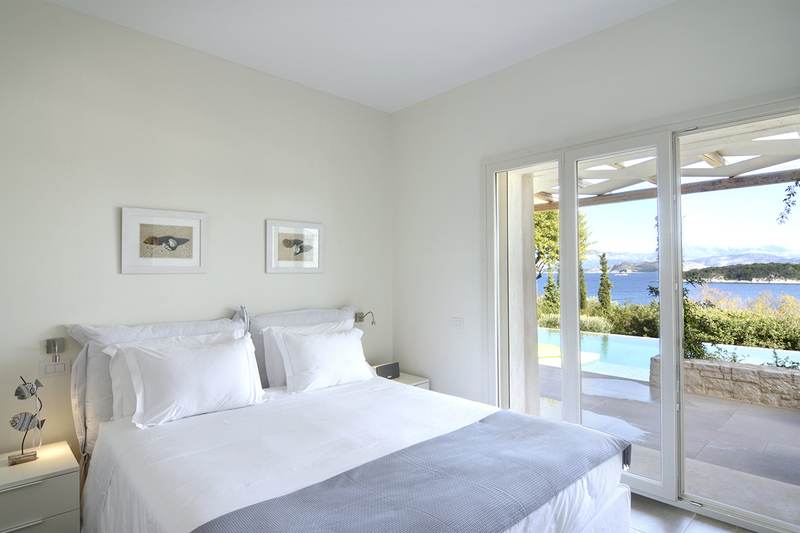 Two of the bedrooms face the 15-meter infinity pool and the sea channel while the third one faces the village of Kassiopi. 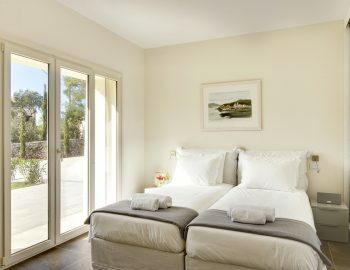 The first floor solely hosts the master bedroom and bathroom as well as a private terrace with a small coffee table, which overlooks the pool, idyllic for breakfast, drinks and stargazing. 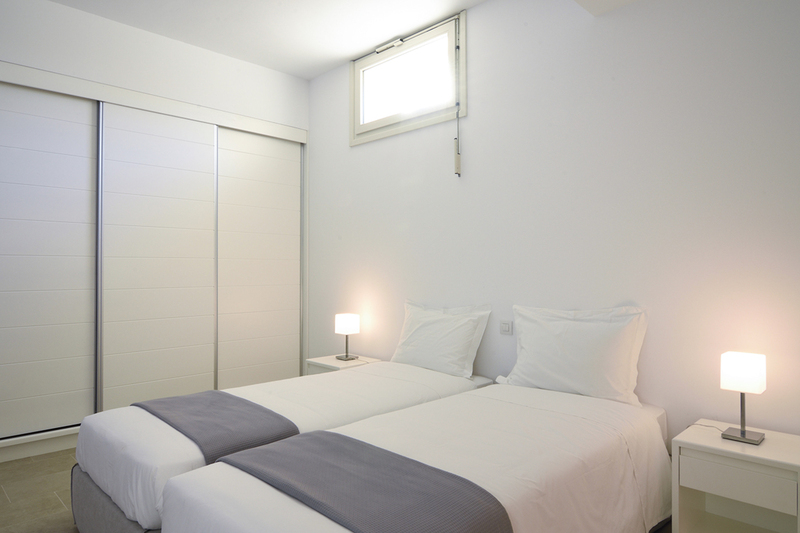 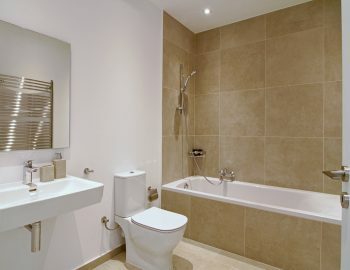 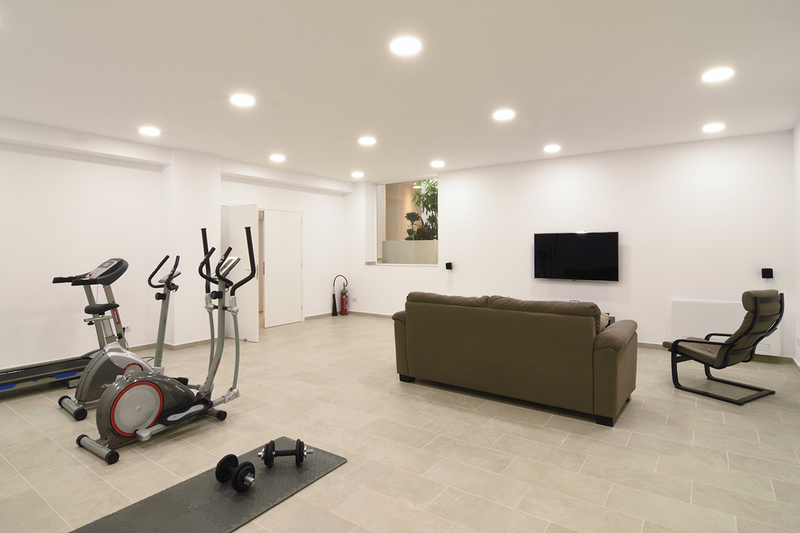 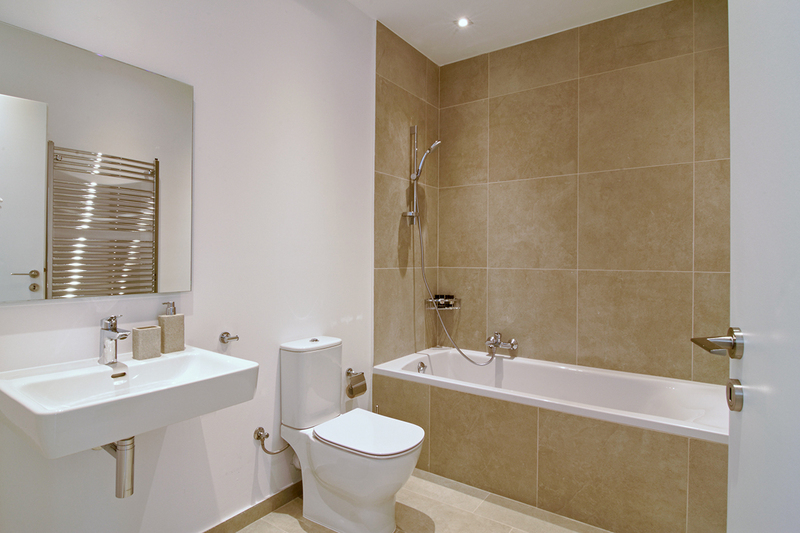 The lower level consists of two en-suite bedrooms, a fully equipped laundry room, a home theatre/mini gym and a garage. 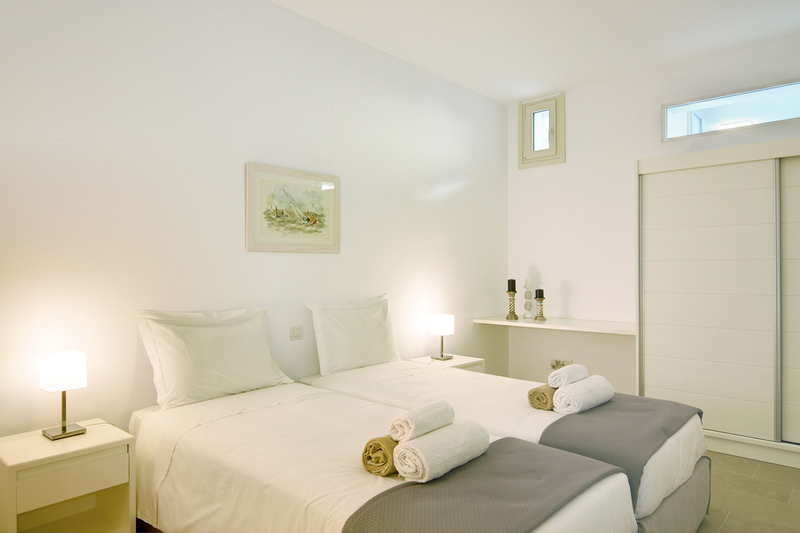 Both the village of Kassiopi as well as the closest beach are in walking distance from the house. 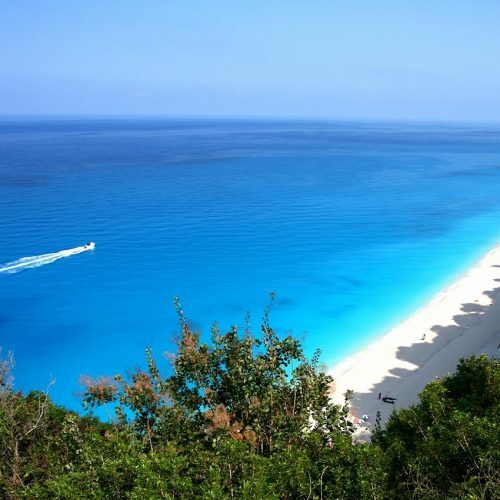 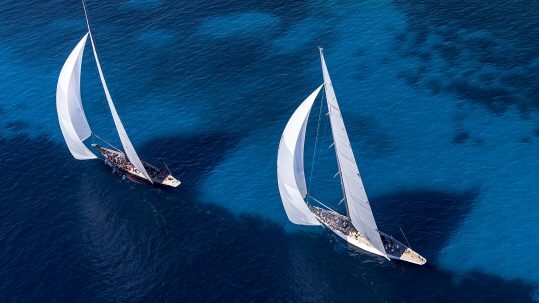 The village offers various shops and supermarkets, bakeries, bars and restaurants while the surrounding beaches, most with pebbles, have the most mesmerizing and clear waters making them ideal for snorkeling and discovery. 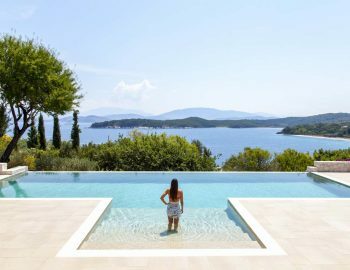 Villa Eliana with its stunning views, lush gardens and infinity pool is the perfect place for a luxurious, serene and private get-away. 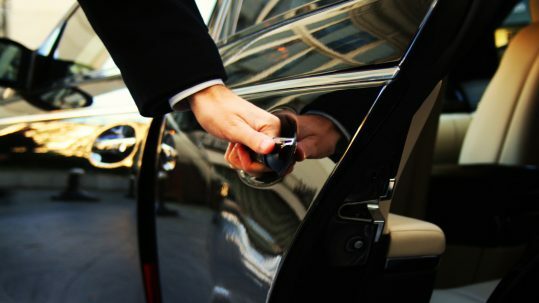 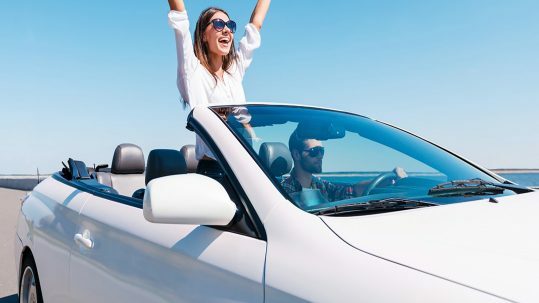 Our concierge will be there to greet you upon your arrival and will remain available during your stay in order to handle any services you may need, such as car and boat rentals, massages and personal services, personal training sessions and restaurant and tour bookings. 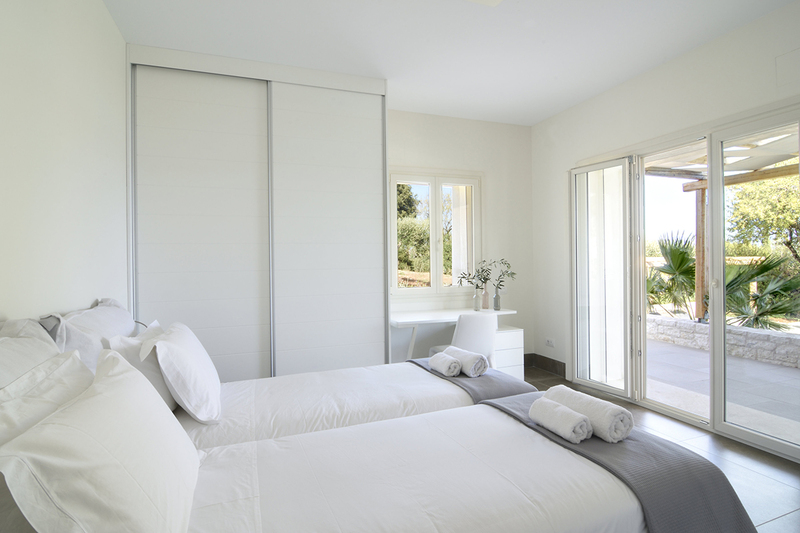 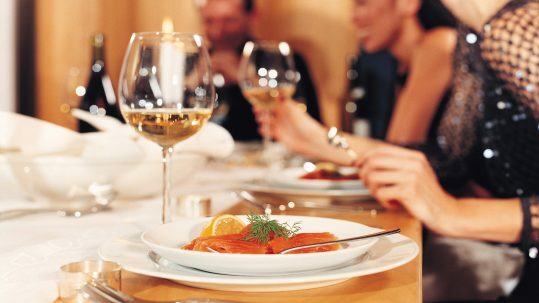 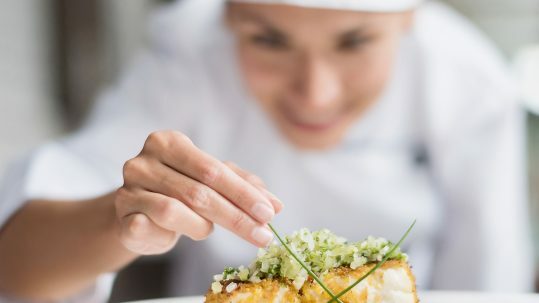 We also offer a chef (on request), daily maid services, garden and pool maintenance and linen change 3 times a week. 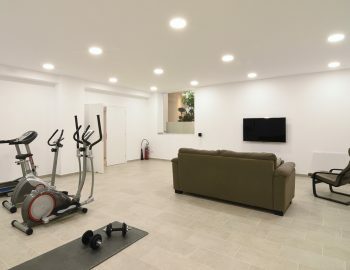 Smart house – fully automated (Control 4 System)-280° Sea view-Under-floor heating and cooling system- sonos music system-Air conditioning in all bedrooms-Ceiling fan in living room-Fully equipped kitchen-Home theatre and gym-Laundry room (washer & dryer)-Alarm system-Safe in 4 out of 6 bedrooms-Satellite televisions in five bedrooms, living room and-home theatre-Wi-fi.